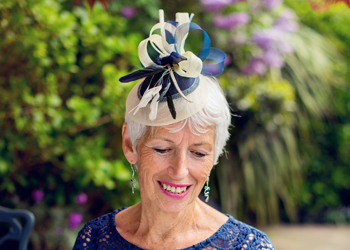 We have been designing and creating bespoke hats, fascinators and accessories from our studio in Faversham, Kent since 2004. If you wish to make a statement at your special occasion, our designer will work with you to craft a custom-made item that will complement your outfit. 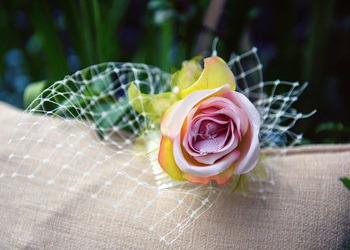 ….I wanted to thank you for creating such a lovely hat for me for my daughter’s wedding. The time spent discussing what I wanted beforehand was invaluable and the time and effort you put into making the hat went beyond what I had expected. The colour combination complemented my dress and I look forward to wearing it again this year at another family wedding! I would like to say a big thanks to you for your much valued advice with my hat. The colours were perfect and I felt really comfortable with the design. I would certainly use you again with confidence and would recommend your excellent service to my friends. 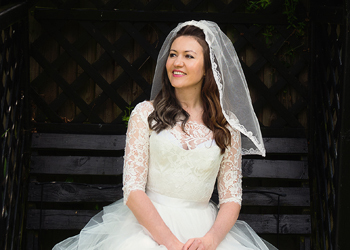 Your wonderful creation just finished off the dress I wore on my wedding day. What a statement! A definite hit, especially with my husband. The bridesmaids looked beautiful in their bespoke headbands too. Thanks once again. I just wanted to say how very pleased I am with the hat I bought from you for my daughter’s wedding. You got the colours and design just right to match my suit. A number of our guests asked how I managed to get a hat to match so well; needless to say I gave them your name. I will be back when our youngest daughter decides to get married.